What is the most efficient way to improve proficiency in English, develop logical thinking, and get informed about local and global sociopolitical issues at the same time? None other than debating. With this goal in mind, our English Debate Team was set up ten years ago. This year two demonstration debates by S5 and S6 team members were held. 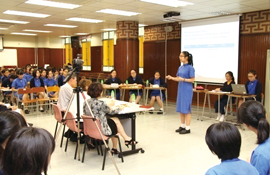 Debaters confidently delivered their arguments, arguing their case with various strategies. 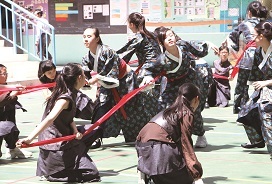 Such demonstrations have been held for a few years and are appreciated by senior students, who have Learning English through Debating as an elective. Teachers also benefit from insightful comments of adjudicators from the EDB, like Mr Stephen Cooley and Ms Christine Xavier, our very own ex-NET Teacher. Outside school, the Debate Team has battled against many reputable opponents. 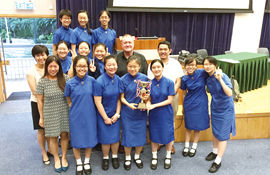 In the Hong Kong Secondary Debating Competition 2015, the senior team was the first runner-up in the Kowloon and New Territories Grand Final. 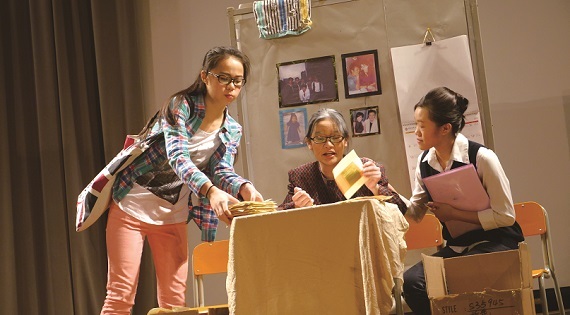 The Drama Club aims at increasing students’ understanding of drama skills and stage management techniques. 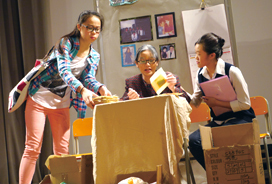 Members join acting workshops and backstage training classes, do role plays, watch drama performances and participate in the allimportant Hong Kong School Drama Festival annually. Invariably they achieve outstanding results. In 2014 – 15, the club won a string of awards again: Award for Outstanding Script, Award for Outstanding Director, Award for Outstanding Performer, Award for Outstanding Cooperation and Award for Commendable Overall Performance. 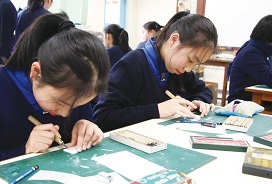 The Art Club aims at developing students’ interest and creativity in art. 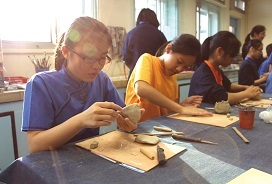 During club meetings, club members create various kinds of art works, such as rubber stamps, glass bottle ornaments, clay work and crystal keypads. The annual Christmas Card Design Competition is one of the major activities held by the Art Club to explore students’ talents in design. Everyone is strongly encouraged to take part. The champion’s design will become the school’s official Christmas card and put on sale. The Art Club indeed gives students valuable opportunities to realise their artistic potential and experience a wider range of art media. 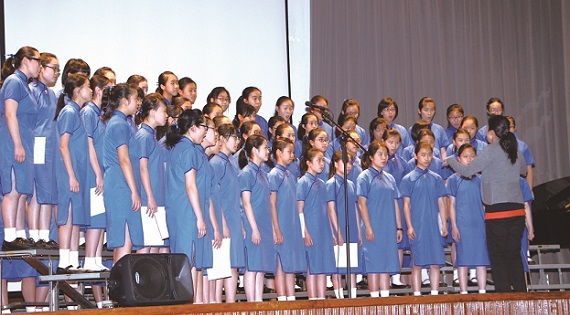 The choirs aim at cultivating students’interest in music and developing their singing techniques. 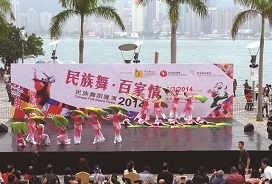 Students participate in the Hong Kong Schools Music Festival every year. 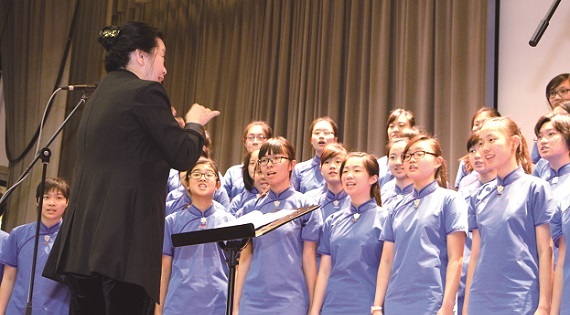 In 2015, the Senior Choir was the first runner-up in the section Senior Girls School – Singing in Chinese. Both the Junior Choir and the Senior Choir sing on Education Sunday, Speech Day and during Thanksgiving, Christmas, Easter and Founder’s Day services. 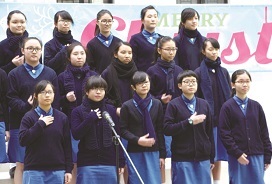 Outside school, choir members have been invited to sing carols during Christmas and perform in charity functions. 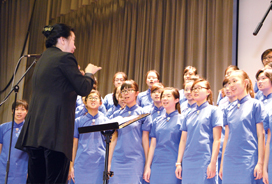 A number of students also took part in individual events of the 67th Hong Kong Schools Music Festival. Some scored pleasing results. 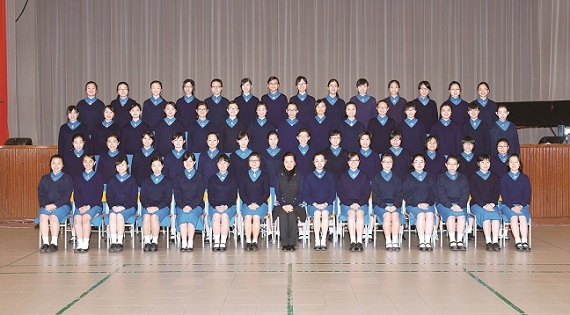 The School Orchestra, led by Miss Wong Siu To, boasts 40 members from S1 to S6. 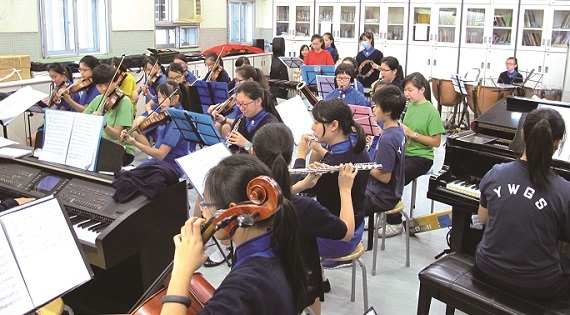 Consisting of the strings, woodwinds, brass and percussion sections, the orchestra practises every Friday after school. Apart from performing on its own, it accompanies the choir on special occasions, such as Speech Day and Christmas Service. To celebrate the school’s 115th anniversary, the School Orchestra played a prominent and indispensable role in the musical The Nightingale. It was both a challenge and a precious opportunity that every member treasured. For the 67th Hong Kong Schools Music Festival individual entries, Lee Lok Yu (4A) came second in Senior Cello Solo. Leung Hoi Kiu (3E) won the third prize in Xylophone Solo. The Dance Team explores students’ dance talents and offers many opportunities for members to take part in performances and competitions. The team had the honour to help raise funds for the Redevelopment Project by performing in the Cantonese Opera event “粵韻濃情繫英華” in 2012 and the 115th anniversary musical The Nightingale. 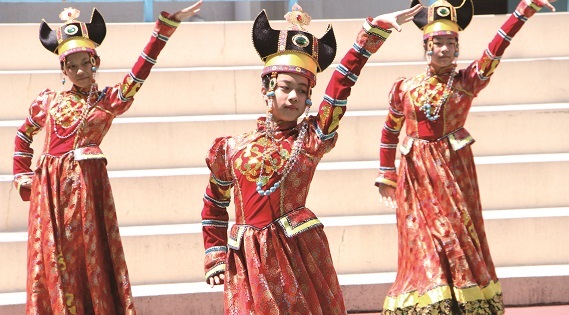 They also starred in the show Performing Arts Marathon @ Sham Shui Po, organised by the Hong Kong Academy for Performing Arts, reaching out to the community and sharing our dance culture. We have always taught Putonghua in junior forms. To raise students’ interest in our national language and increase their exposure, the Putonghua Club was founded in 1999. In the blink of an eye, the club is now in its 16th year. Club members have gained much through a wide range of innovative activities, designed and tailor-made by committee members with the guidance of advisers. The most significant annual event is the Putonghua Day, when all students can participate in the fun fair, playing games in Putonghua like cracking riddles, saying tongue-twisters, etc. These activities have given students good practice in our national language. 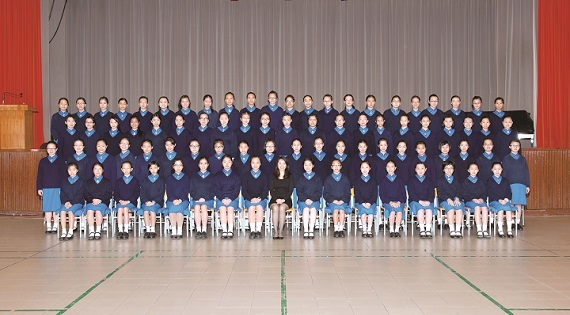 Recent years have seen the rise of our students’ Putonghua standards. 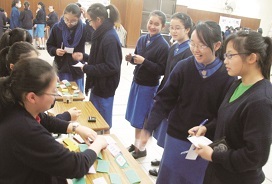 Many perform well in the Hong Kong School Speech Festival and win awards. 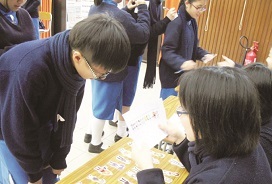 Now S2 and S3 students can also take the national proficiency examination, GAPSK, to have their standards gauged. 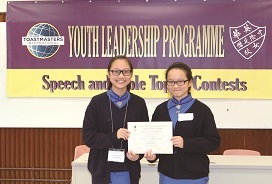 Anyone who wishes to be confident in public speaking and become a well-rounded leader must not miss the Toastmasters International Youth Leadership Program. This successful collaboration between Toastmasters International and the English Department dates back to 2004. Every year, around 40 keen students from S2 to S4 with good potential are recommended by their English teachers to attend a series of workshops on Saturday morning for a semester. So far, more than 400 Ying Wa girls have participated in 22 classes and benefited from this programme. During the workshops , professionals share with students how to develop confidence in public speaking. Participants then present either prepared speeches or take part in the table topics speaking round. They can showcase how to apply tips given by their mentors. Apart from learning public speaking strategies, like organising ideas coherently and making good use of body language, they also get life lessons from guest speakers. This popular programme may demand a lot of students’time, but clearly every single minute is worth spending. One of the most important challenges for any language learner is to be able to speak with confidence in public. 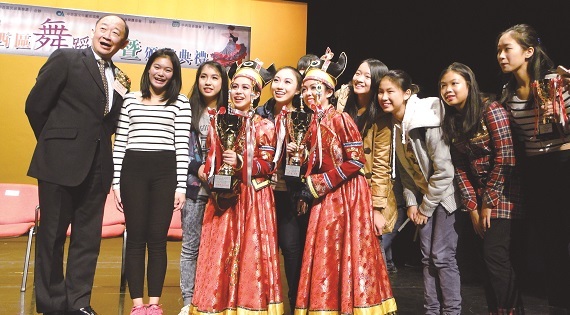 The popular Hong Kong Schools Speech Festival allows our students to hone their public speaking skills in different languages, Chinese, Putonghua and English. 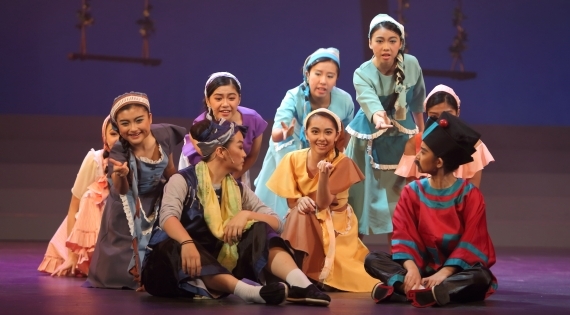 It also offers a precious chance for students with different language talents to shine on stage. The participants are mainly junior students, mostly taking part in Solo Verse Speaking categories. 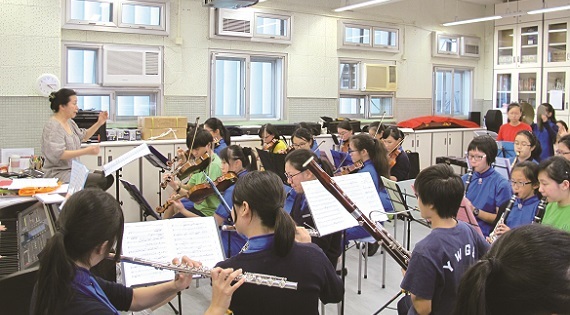 Young as they are, many obtain very good results after endless lunchtime and after school practice. Classes also have rewarding experiences in choral speaking events. 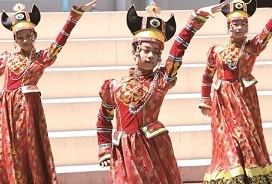 They often have chances to perform their pieces in school assemblies or Ying Wa Good Show. In sum, the Speech Festival helps students to gain confidence in delivering speeches in public. It is encouraging to see how popular it remains with our students. Going from strength to strength, our Relay Writing scheme is now in its tenth year. This is a rare opportunity for young writers who aspire to see their works in print. 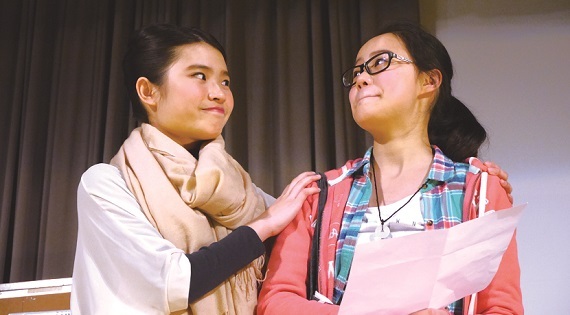 Each year a dozen or more teams get together to try their hand at writing original stories in Chinese of at least 30,000 words, which will be judged by a panel of local authors. 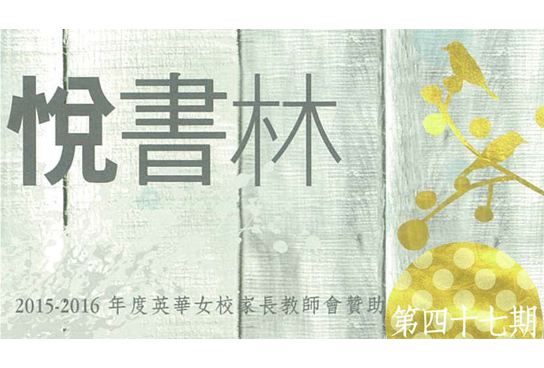 The winning entry is launched at no greater occasion than the annual Hong Kong Book Fair. Not only the general reading public but also everyone at Ying Wa can purchase a copy of the winning team’s book. 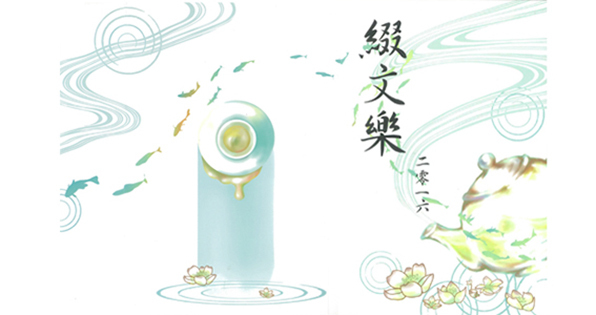 The other entries are printed as an anthology by the Chinese Department for internal circulation. 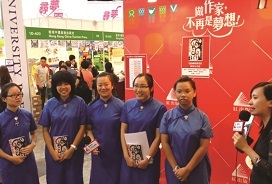 In recent years, the budding writers also get a chance to promote their work at Ying Wa Good Show. What is meaningful about this programme is that it allows aspiring writers to improve their skills each year until they perfect their craft. The winning team is usually formed by veteran participants who may not have won in junior forms, but persevere until they come up with the best effort in later years. A fulfilling activity, it will continue to inspire young writers and promote creativity at our school. 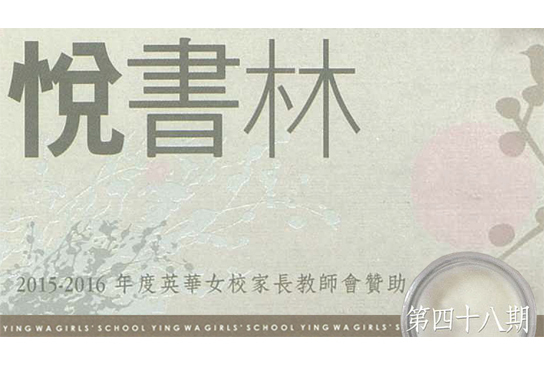 © 2018 Ying Wa Girls' School 英華女學校. All rights reserved.